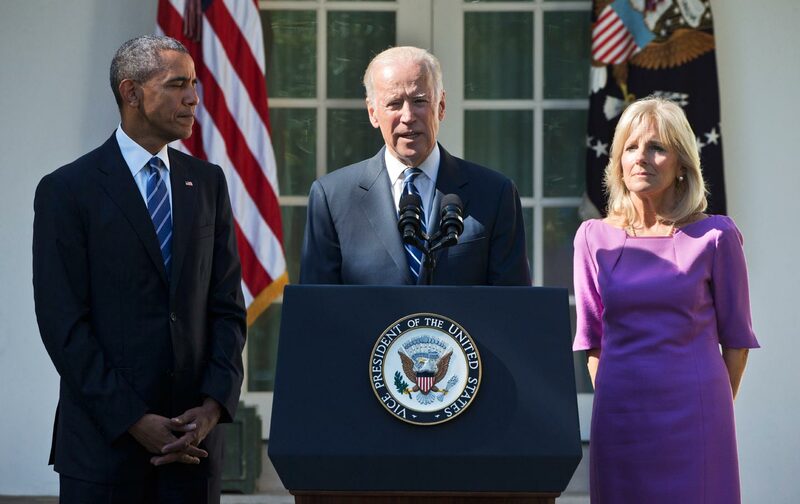 Who Benefits From Biden’s Exit? Biden. By becoming a factor in a presidential race he was not running, the vice president increased his stature and influence. Joe Biden is a politician—an exceptionally able politician who at the age of 29 beat an incumbent US senator, who retained that Senate seat in even the stormiest of election seasons, who ran well enough for the presidency in 2008 that (despite losing early) he finished as his party’s vice presidential nominee, and who, as vice president, made himself essential enough and appealing enough to be considered a 2016 prospect. The consideration is now done, with Biden’s announcement that he will not bid for the Democratic nod. There’s every reason to believe that Biden would have liked to run. He tried for the 1988 and 2008 Democratic nominations. And he enjoyed speculation about possible bids in a number of other presidential election years. He owed it to himself to explore whether there was a place for him in a race that already features a former secretary of state (Clinton) who could well be the first woman president; a senator (Bernie Sanders) who has excited a populist insurgency; and a former governor (Martin O’Malley) who has ably filled a number of policy voids. Biden could have tried to wedge himself into the race as a somewhat more experienced legislator and leader than Sanders, But he would have had a hard time making the case that he had dramatically more domestic and foreign-affairs experience than Clinton. Biden could have tried to wedge himself into the race as a somewhat more populist contender than Clinton (except on the trade policy, banking reform, and corporate-governance, issues where she has veered left). But he would never have been as much of an economic populist as Sanders. Were these several months of exploration and speculation just a waste of time? Not for Biden. Biden could have tried to wedge himself into the race as an acceptable alternative in the case of a front-runner stumble, but O’Malley has already done a reasonably good job of making himself that candidate. So how might Biden have run? He certainly could have positioned himself as the candidate of continuity—as a trusted and loyal ally of Barack Obama who would not deviate from the positions taken by a president who remains popular with the Democratic base and whose accomplishments will be increasingly well-regarded. But vice presidents are rarely elected to succeed the presidents with whom they have served; the last Democrat to secure such a victory was Martin Van Buren in 1836. For Biden, the prospect of a 2016 run was always remote. He accepted this initially. After the death of his son Beau, and as Clinton appeared to be having a hard time getting her run going, he rethought—publicly, and for a good long time. But Clinton’s solid performance in the first Democratic debate, along with the bumbling by Republicans who have gone after her on the e-mail and Benghazi issues, could well make October the best month so far for her campaign. Biden would not have entered the 2016 race as the leader in the Democratic field. Nationally, and in most states, he would have started in third place behind Clinton and Sanders. That’s not an appealing position from which to begin a long, hard, and potentially unsuccessful run. The vice president recognized this reality. So Biden is, logically, practically and officially out. There will be speculation about where his potential supporters will go. But the reality is that Biden would have drawn his backers away from Democrats who were already in the camps of other candidates—or leaning toward those other candidates. Now, those Democrats will simply follow their predictable paths, mostly to Clinton and Sanders. So were these several months of exploration and speculation just a waste of time? The vice president really was drawn into a reconsideration of his decision not to run. He did not seek his circumstance. But he eventually embraced it, talking to top Democrats, appearing at labor events, and gently stoking the speculation. From a political standpoint, this was time well spent. Most vice presidents finish their tenures on the sidelines, marginalized by the fact that attention has shifted to the next presidential race. There is no such thing as a lame-duck president; to their last day in office, presidents retain immense authority, including the ability to nominated Supreme Court justices, veto legislation, issues executive orders, negotiate with Congress and frame debates. But vice presidents can become very lame ducks. A vice president who isn’t running for president is rapidly becoming a part of the past, rather than staking a claim on the future. But Biden upset this calculus. It may not have been his initial intent, and it did not turn out to be his ultimate desire, but Biden became a part of the present politics of his party and his country. The vice president just spent several months as a factor in the 2016 race. He was featured in the polls, and posted credible numbers—actually running better than other Democrats against prospective Republican nominees. He was discussed, endlessly, by the pundits. He was supported by an appealing “Draft Biden” advertising campaign and encouraged by union leaders such as International Association of Firefighters president Harold Schaitberger. In the end, a lot of Democrats, and a good many independents and reasonable Republicans, came to the conclusion that Biden would make a fine president. Biden’s stature has increased. His appeal as a campaigner for the eventual nominee will be greater, as will his appeal as a campaigner for Democrats seeking House and Senate seats. And if the party finds itself in need of a late-stage entrant into a race that, for whatever reason, goes awry, Biden’s name will be at the top of the list. If the months of speculation did nothing else, they reminded Democrats, and Americans, that Biden is an energetic and engaged political figure. If it was possible to imagine him as a possible presidential nominee—and for millions of Americans it was—it will be possible to imagine him in a continuing role on the national stage. And that imagining is good for America, as Biden’s remarkable experience, his breadth of knowledge and depth of commitment, make him a uniquely useful political figure. He may never be president, but he still has the potential to contribute mightily as a public servant. If the next administration is a Democratic one, Biden’s name will rank higher on lists of potential special envoys, task-force leaders, and cabinet members. Heck, it might even end up on another vice-presidential shortlist.